Celebrate fall Texas style in the Italian-inspired hills of Travisso during our Tuscany Home Tour and Fall Festival on Saturday, October 29 from noon to 4 p.m. 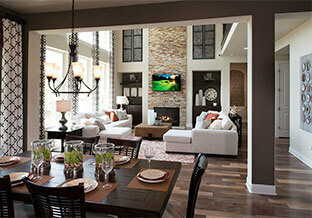 Discover the beauty of the Texas Hill Country and our 10 luxurious model homes. You may even FALL in love with your dream home. During this free fun festival tour move-in ready homes, explore the luxurious new Club at Travisso, and visit Travisso’s Welcome Center and Model Home Court to enter to win a $2,500 Restoration Hardware shopping spree. There’ll be food, festivities, and fun for everyone, OH MY! And, of course, sweet treats and delicious surprises. Adults can treat themselves to Travisso’s a colossal sweet desire—a six-foot pumpkin spiced latte tiramisu, local specialty wines of the Hill Country, and Texas craft beers. For football fanatics, grab a cold one and watch the University of Texas and Baylor game on our big screen while enjoying a variety of scrumptious tailgating snacks. Additional activities include a Howl’ween dog costume parade, kids’ games, and trick-or-treating at Travisso’s model home court. Kids, dress-to-impress and wear your favorite Halloween costume! Or, make a memory to cherish and take a photo at our pumpkin patch located at the Club at Travisso or on the Toll Brother’s photo bus located in the parking lot of the Merdia model from noon to 3 p.m.
Travisso’s Welcome Center, 3937 Veneto Circle, is located just three miles west of Anderson Mill off of FM 1431 in Leander. Once there, follow the signs to our fall event. For additional information, call 512-243-8583.